Maybe we can get Casio to give one to Grant for testing, and he can give a FULL REVIEW of said watch here on the SMARTEST MULITOOL FORUM on this Planet Earth! $20 SHIPPING?! THAT'S HIGHWAY ROBBERY!!!! The current price is from Japan, so probably were the first watches made, thus premium prices for having the first ever one of them. Once the watches go into production they should drop a few dollars. Or not. 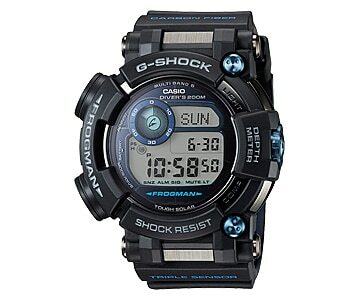 I absolutely love my G-Shocks, but I would never spent $1200 on one. If I am spending that much on a watch its going to most likely be Swiss and made of a precious metal. That thing is nasty,, just wouldn't do me any good, I don't dive, the compass and temp would be cool though.. I have one that's just as big and can go 20bar depth? I think it's a mudman? Casio gx-56, that thing is heavy, any heavier and it would be a metal watch.. I bought an '89 Tracker once for $400 once and a few years later I got a 1981 Pontiac Catalina for $250. So when I said I have bought cars for less than that, I don't mean individual cars for less, I mean multiple cars for less! The Catalina got me from Toronto to Halifax, which is roughly 1200 miles, so no complaints there! 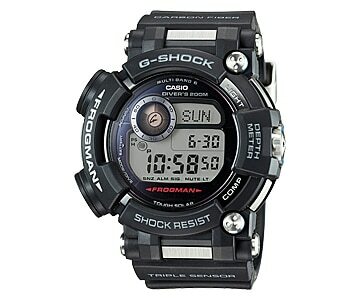 Looks nice, but waaaaay out of my price-league for a G-shock. I've read reports where people complain about the lack of a barometer feature. They claim the pressure sensor only works underwater, and as a result there is no barometer (air pressure sensor)? If that is true then it is a bit of a fail at that price IMO. I still prefer a gwf-1000... And way cheaper! Update: Casio America announced the GWFD1000B-1 with a list price of $1,050.